When you think about Switzerland, what is the first thing that pops up in your mind? Banking, doesn’t it? 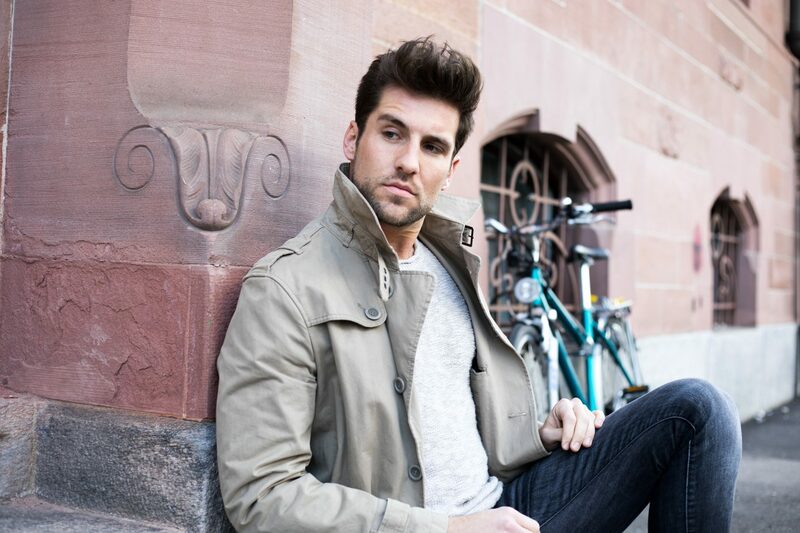 Steven Epprecht chose an alternative and more risky path of quitting a stable job in a bank and becoming a full-time blogger and model. 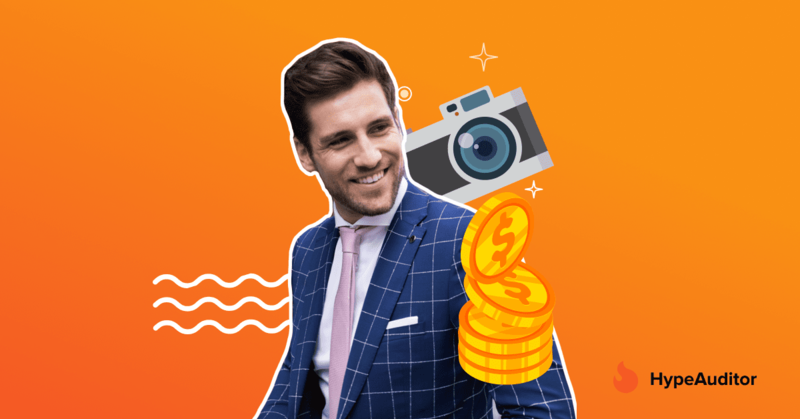 We had a chat about the story behind his blog – “SE signature style” and why using HypeAuditor is a must for any Instagram blogger. – For many people working in a Swiss bank may sound like a dream. Why leaving a stable job and taking a more adventurous path – becoming a full-time model? Being a banker in Switzerland is the most typical job you could imagine, it’s like being a baker and make all kind of baguettes in France. Although I prefer the first one still since it’s paid much better. How to become a model in Switzerland? Follow my example, graduate with a bachelor of economics like me, start modelling and then quit your stable job and embrace all the ups and downs of the blogging and modelling world (laughing). Modelling has been my biggest passion for quite a while now. I tried to use every possibility to get better at it and step by step started to develop my portfolio using my vacation time while working for a bank. Then comes the time for a big decision: to truly dedicate yourself to the modelling, since you should be quite flexible with your schedule, or stay at your 9-5 job. For a typical Swiss, it’s quite a tough decision, since we are quite conservative. Perhaps some of you would pick a financial stability over the need for self-actualisation and happiness. Yet, everyone is free to choose a path to follow. I’m quite supportive of people who are courageous enough to follow their dream and overcome the difficulties which they certainly going to face while paving their way. If you have a passion for life and enough motivation to make it tangible, then it’s better to try and perhaps fail then to regret when you don’t have that much time left. – Why did you choose to get into the blogging and modelling industry? It all comes from childhood when I had a dream to become an actor one day. It’s a long way of getting through the thorns to the stars. From the beginning it seemed to be unapproachable, I was chubby as a child, so getting disciplined in my eating habits was quite necessary. Back in 2010, I went to Hawaii to practice my English, one day when I was walking at the beach, an agent from a model agency approached me. At that time it didn’t make sense to me, how could I become a model? I didn’t go to the gym at all, yet that agent found something special about my look, I just had to pump myself up to open up the doors to the modelling industry. The idea of creating a blog appeared after spending several years in the modelling industry. I’ve developed quite some interest towards fashion and grooming in general and it all became natural to me to bring it out to the blogging world. – Do you have any tips for the newbies in blogging? I think nowadays this market is very saturated that’s why it’s quite important to find your niche and sharpen your skills up in one specific area rather than spreading yourself in different directions. You might get inspired by different bloggers but don’t blindly copy their style. I believe every person is unique so does their vision. Open up your personality to the audience: whether it’s some specific sports you do apart of modelling or the cookies you secretly bake. Start networking and gradually build up your community by collaborating with other bloggers. Together you can deliver some great quality content. Stay engaged with your audience and make them a part of your world. You need to be very disciplined and try to make your passion work by sending it in the right direction. Keep in mind though that no man is an island, for me, it’s all about the teamwork. It’s quite important to find the right people to work with. Having a good and reliable photographer at your side is priceless, as well as a trustworthy manager or an assistant. Nevertheless, I’d advice to have a plan B and simply be able to survive in case something goes wrong. Being focused on modelling career only is a mistake, in my opinion. 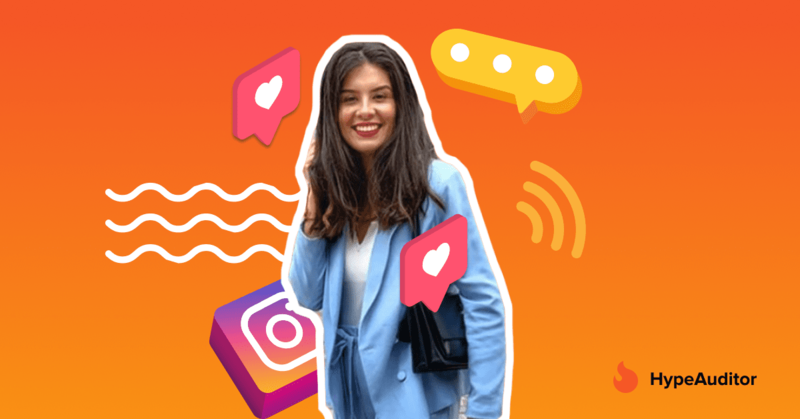 – Could you share your experience of using HypeAuditor as an Instagram blogger? Was it helpful in terms of improvement of your Instagram page performance? Here is the message for the newborn bloggers: don’t waste your time and money to gain tons of followers, likes and comments artificially, like follow/unfollow services. 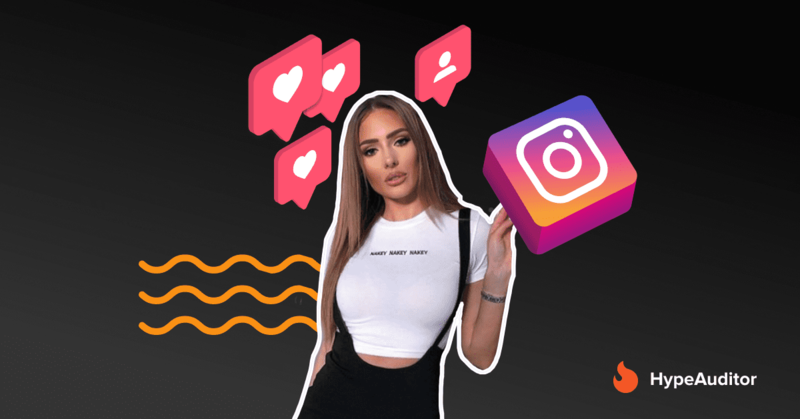 I found your tool right on time when Instagram influencer marketing has inflated quite drastically so that it became impossible to see who is playing the fair game and who’s just hiding behind the numbers. It’s quite frustrating to see that while you spend all your time and effort growing your community organically while your fellow colleagues might be using some shady services to reach similar results. In my opinion, brands should really start paying attention at the complexity of bloggers’ quality: blindly picking a certain Instagram blogger for his good-looking profile and some big numbers should be the history by now. But eventually all the truth is getting revealed and those who tended to grow their followers like or comments count artificially can lose it in a blink of an eye. What I like the most about HypeAuditor is a comments pod section, it shows the real level of engagement in a blogger’s community. Shame on me, once I was a part of it at the beginning of my blogging career but I quit it after a month or so. The idea of being obligated to comment photos of other bloggers even though if you have no interest in their content seems weird to me. It’s time-consuming as well, you could have been doing something more productive instead. Keeping the visibility and staying engaged with your community on Instagram is important. I always try to find time to respond to comments under my posts on Instagram. The rule of a good blogger is to appreciate your community. I found a way to say ‘thank you’ to my followers: once my Instagram page hits another 10k, I make an event and invite some of my most active followers to celebrate it. I don’t want to stay only an online blogger with a nice looking Instagram profile but also want to keep the connection with a real world. The most recent one I’ve organized celebrating 80k: it was a photo shoot get-together where I invited 6 people from my community with their friends for a fun evening with snacks and drinks where I revealed my tips and tricks of posing in front camera. -How does it feel like to be your own boss? It definitely feels great and I quite enjoy it, to be honest, I don’t know If I’d ever go back to a “normal” 9-5 style of life. What I like the most about it is to seize every moment of a new day, which doesn’t look like any other. There is no pattern I should follow, it’s all flexible. Not everyone can handle it, I might work on the weekend and then have a day off during the week and it’s totally fine. I appreciate the possibility to go on vacation spontaneously, whether on my own or with friends, those who are as flexible as I am (laughing). As a blogger, I can be my own creative director when it comes to the shooting: picking a location, style and adding some little details. What I find challenging is the organizing process: the marketing, sales and overall management of your blog. But I am happy to count on my good friend Diana Kottmann, who is responsible for all the management tasks and the photography part as well. Once again, working in a team is more productive and more fun. – How do you manage to keep the balance in your daily life? Is there any special technique that you use to keep your mind fresh and clean? Blogging is a sort of entrepreneurship – your mind is always busy with the thoughts of how to improve your business, unlike having an average 9-5 type of job, when you switch off this button right after leaving the office. What helps me to blow some steam off is work out sessions and running. As soon as I feel my head is getting overloaded with the information I just take some days off and dedicate it to wellness. I reduce the number of planned activities and spend less time on social media. – Modelling may sound appealing but there is lots of hard work hidden behind the pretty pictures. Are there difficulties and challenges models usually do not talk about? Let’s lift the veil of secrecy. It all looks glamorous both modelling and blogging from a social media angle. An Instagram profile for a blogger is a sort of CV or a portfolio. We want it to look perfect and professional to get the best brand proposals. Not everyone is willing to share the details of their backstage process and a thousand and one drafts they’ve adjusted before the release of a final product. It’s quite important to stay flexible as a model and keep your options open. For instance, having some time off in Switzerland and all out of a sudden going to Hamburg next morning for a photo shoot. Modelling is not a comfortable life, you should be aware of it. Another downside is uncertainty about your income. As a model having 2 shootings per month, in an off-peak season like summer, is not enough for a survival. Now I’m in a lucky position to have an agent who makes sure my schedule is getting fully booked and I keep on floating. Some of my friends see the modelling job as just smiling in front of the camera and getting tons of money for it, which is far from reality. We skip the whole preparation process in here such as daily working out sessions, follow your diet program. it’s a sacrifice. You should be prepared to hear: “No” while getting through castings and not taking it personally. You can’t meet everyone’s standards. It can be heartbreaking for some newbies in modelling. Travelling is fun but always staying on the road is quite tiring. I hear a lot: “But you get a chance to see so many beautiful places!” – though you don’t have time to lay at the beach for a day on the Canary Islands as your friends imagine. Don’t get me wrong, I love my job and being on the road, though as a model you should be prepared to face some difficulties. Sounds easy – managing a blog, though you get an idea of how much time and effort is invested in the whole process after trying it out for yourself. You should constantly deliver new content to your audience and stay creative. – What drives you as a content creator? Where do you get your dose of inspiration? One of my main inspiration is Mariano Di Vaio, he created the whole brand out of himself: having a blog at first and then creating a fashion collection. I think the marketing strategy behind his brand is pretty strong, he’s one of the examples I’m looking up to. 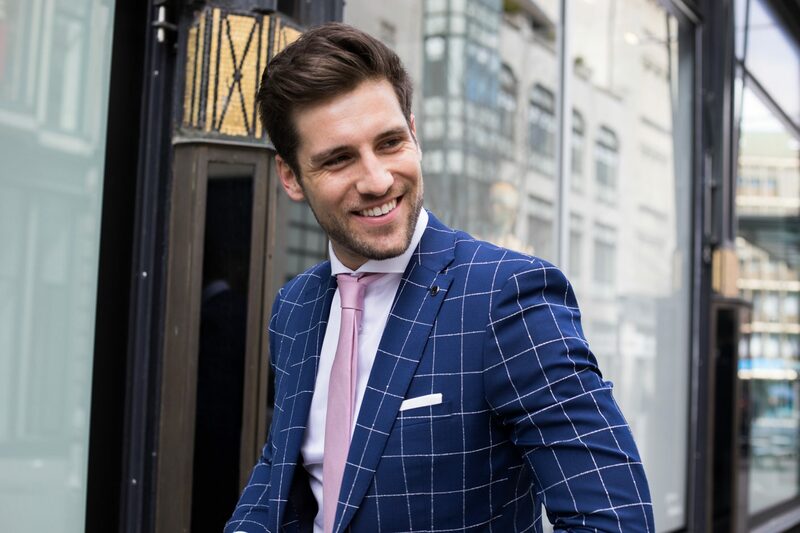 There are some other international blogger models I admire a lot – Nick Bateman from Canada and David Gandy, UK based, I hope that one day I can look as fit as he’s at his age now. When it comes to German-speaking blogger scene, I’d mention Toni Mahfud his style is quite catchy and unique, I find it mysterious even with a shade of darkness. – Do you plan to make more videos in English on YouTube? We saw you are quite into trip vlogging and giving some tips on grooming, workout and styling. Any exciting ideas you’d like to share about your future project? Definitely, it’s one of my biggest priorities at the moment, we should admit that the new generation is quite fast in terms of media consuming especially when it comes to the video content. They’d choose to watch a video over reading a blog post. I want to dedicate more time to produce some video tutorials about my workouts in English. I also wanted to re-introduce travel vlogs, since I’m on the road quite often, the episodes will be targeted at Swiss market but we’ll add English subtitles as well. I’m also planning to integrate videos into my blog page to make it more interactive and entertaining. I want to spend more time on creating my own web page in a format of e-magazine and independent from Instagram. Thank you, Steven, for sharing your story, we hope to see the results of the video production on your YouTube channel soon. 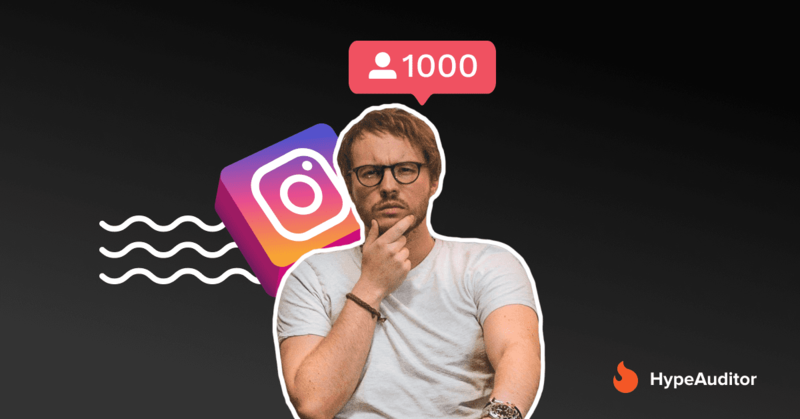 How to get your first 1000 followers on Instagram?